Regardless of the political sentiment held against certain group of people, everyone has the right to receive compensation if they have been injured in an accident due to another person’s negligence. This includes the right of undocumented immigrants to recover the cost of their medical care, lost wages, pain and suffering and any other out of pocket expenses they have incurred following a car accident. The Chicago undocumented immigrant accident attorneys of Rosenfeld Injury Lawyers LLC believe in protecting this right and will fight tirelessly to ensure that all people are treated fairly in the eyes of the law regardless of their status in this nation. People who do not have legal status in the United States are routinely taken advantage of because corporations know that they are less likely to defend their rights. They may fear standing up for themselves because it makes them a target for authorities and political groups, and insurance companies will use this to deny benefits to victims who do not have a social security number. This practice is unethical and unlawful, however, and victims have the right to receive the compensation they are owed and to take legal action against insurance companies that do not follow the law. If you have been denied an insurance claim for this reason and the accident responsible for your injuries was not your fault, you should contact a lawyer right away in order to make sure that you retain your rights. We can help you stand up to these insurance companies and recover the compensation that every single person living in or visiting the United States is guaranteed. If you or a family member was injured while working as an undocumented immigrant, you are likely entitled to workers compensation benefits. 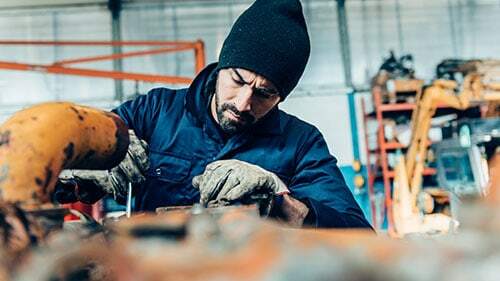 Contact the workers compensation attorneys at Rosenfeld Injury Lawyers LLC for more information and a free review of your legal rights and options. As mentioned, people who are here without legal status may simply remain quiet because they don’t want to draw attention to themselves. However, what they are not aware of is the fact that they are protected by the court when they file legal action for the recovery of compensation. Local, state and federal law enforcement is prohibited from searching court documents for information pertaining to the legal status of those who are filing lawsuits. Since this is not common knowledge, many people who are owed compensation allow their rights to be violated in fear and may not have access to the money they need to pay for quality healthcare, their lost wages and other related expenses. If you have been in an accident, your legal status will never prevent you from being able to receive compensation for the following. The cost of medical treatment, including emergency care and appointments with specialists of your own choosing. Reimbursement for the cost of medical procedures and rehabilitative therapy. Fair compensation to help victims who have suffered from injuries that render them disabled for the rest of their lives. The value of pain and suffering as well as lost opportunities. The value of the wages you have lost while unable to work. While it can be difficult to prove income when you do not have legal status in the United States, we can assist you in this process and help make your case to a court. Rosenfeld Injury Lawyers LLC believes that every single person who is injured in an accident deserves to be treated fairly and to receive every bit of compensation that the law allows. This drive for justice has allowed us to recover damages on behalf of thousands of clients just like you. Contact us today to arrange a free consultation with one of our award winning Chicago undocumented immigrant accident attorneys so that we can gather the information we need to get to the bottom of your claim and let you know what legal options are available. We work entirely on contingency, so unless we recover compensation on your behalf, our services will come completely free of charge. We look forward to serving your needs.